Graffiti on a pole along Kirchhoff, just north of Northwest Community Hospital. 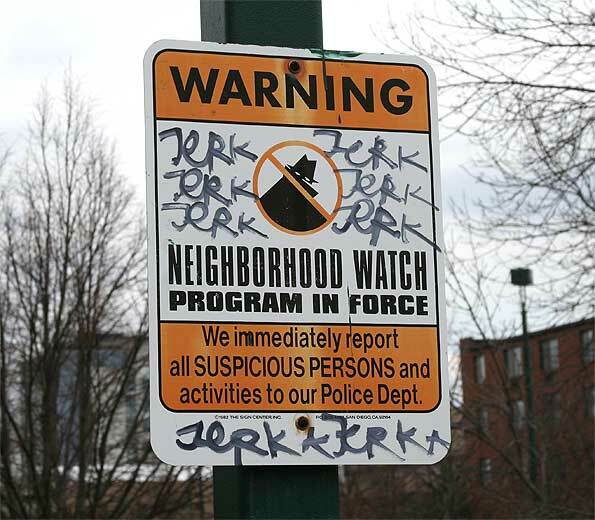 “Gang graffiti” on a Neighborhood Watch sign on Villas Arlington property in the 800 block of South Dwyer in Arlington Heights. 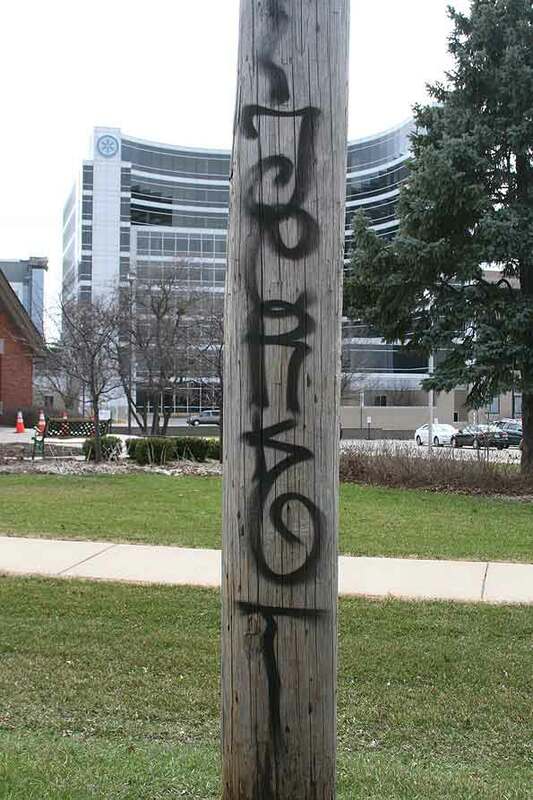 Arlington Heights Police received a report of extensive “gang graffiti” in the area along Kirchhoff Road, west and north of Northwest Community Hospital. Graffiti was also found in the Villas Arlington property in the 800 block of South Dwyer Avenue, just west of Northwest Community Hospital. The vandalism was found with multiple offense on the length of a white fence and on utility poles in the area. In the past few months, several incidents of graffiti vandalism have occurred at Sunset Meadows park. Arlington Heights Police are investigating. 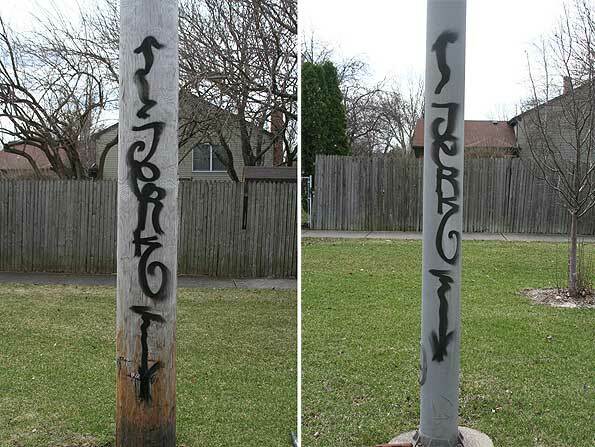 It is unknown if the criminal damage to property and vandalism is actual gang activity or prank graffiti. Graffiti at Villas Arlington near Church Creek Healthcare Center. Utility pole graffiti along Kirchhoff Road in Arlington Heights, Illinois.